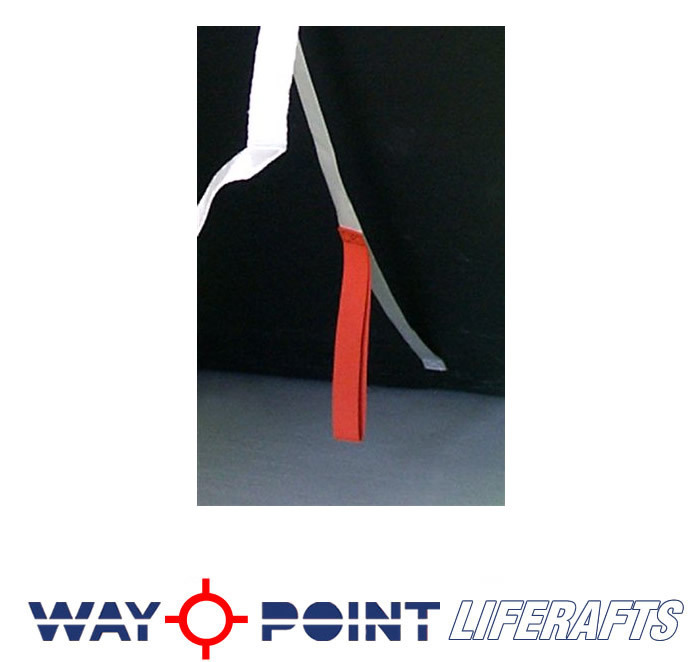 The Waypoint Coastal is the answer to the safety of boaters who do not venture far Offshore. 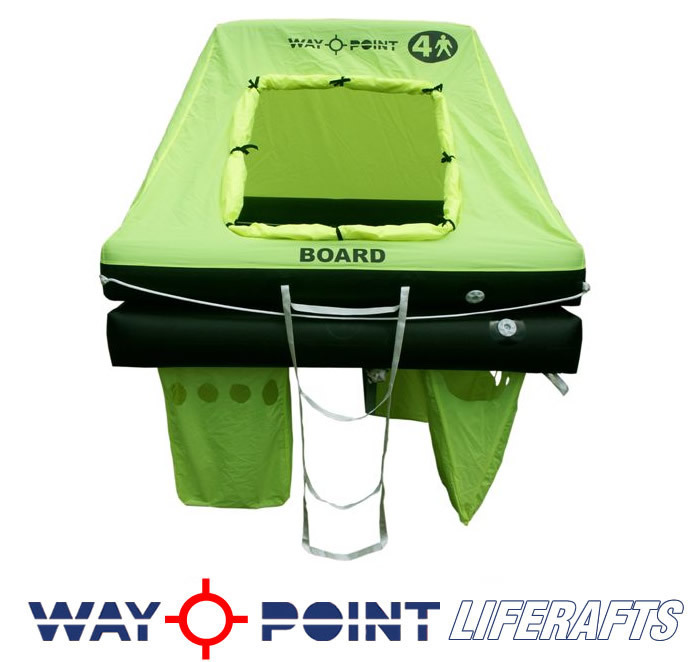 However it is built with the same materials and high quality of workmanship as all of our other models. In our view, every one of our models MUST perform faultlessly when required. .
•	Entirely European built in our OWN factory, NOT built for us. 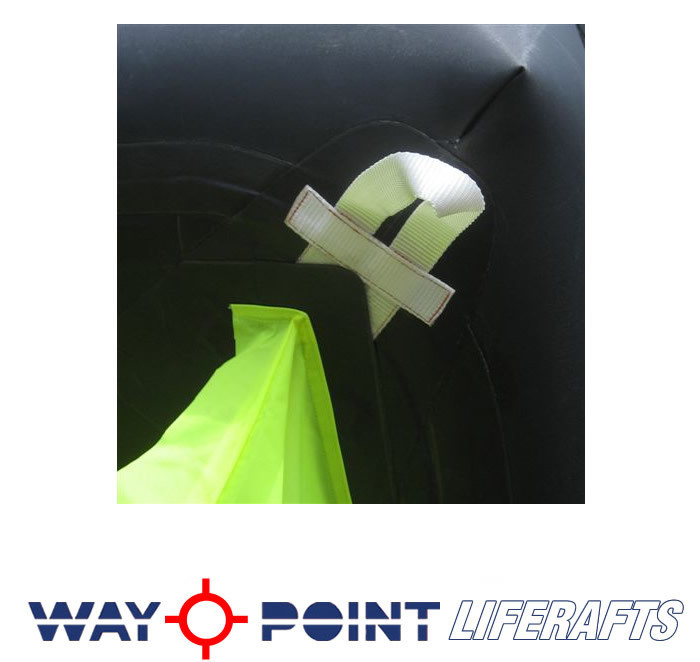 •	Superb fabric, U.K. made, HT nylon coated with PU made in the U.K. (Almost indefinite life) complies with the ISO 9650-3 directive for fabric as used for the ISO Ocean liferafts. 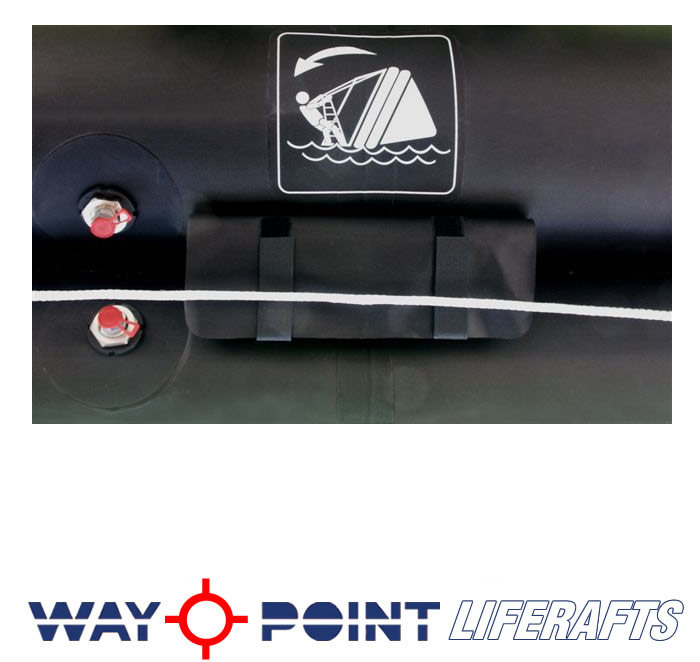 •	Super Light weight construction from as little as 18 kg. for a 4 man in a valise. 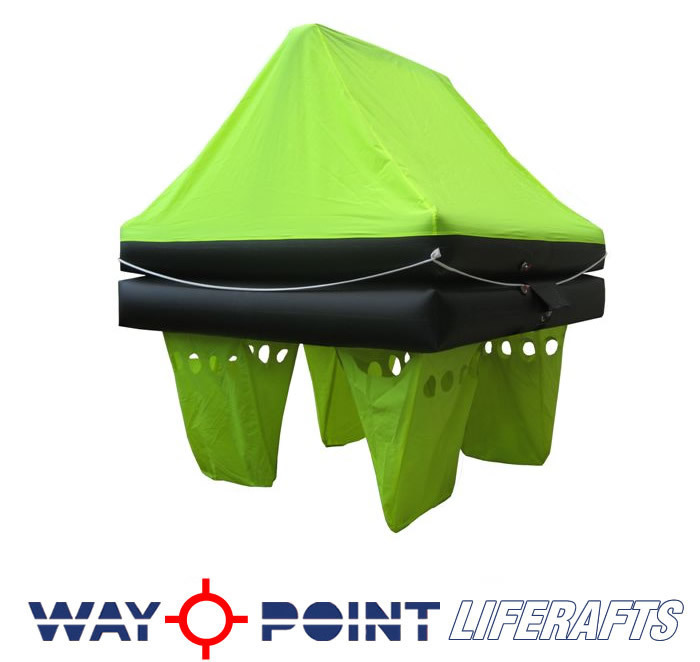 •	It is constructed with 2 independent tubes, and the canopy is self erecting. 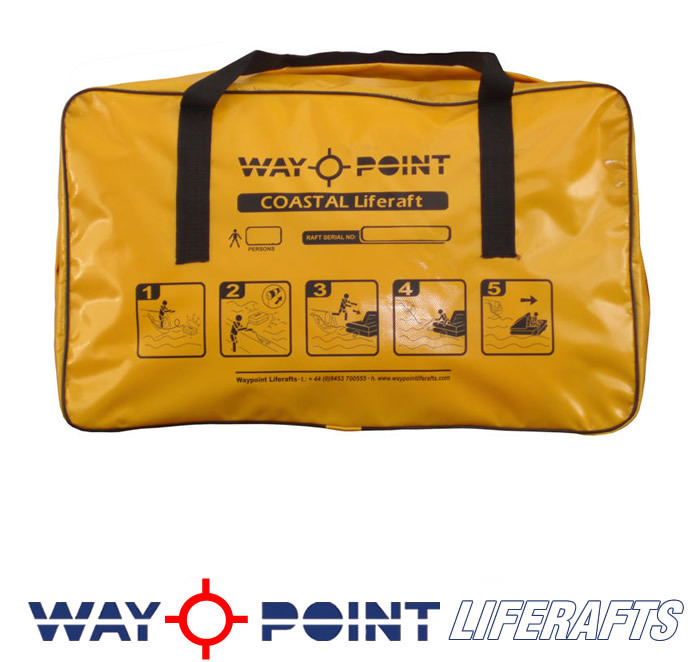 •	4 large, (55 litres each) water ballast pockets underneath which makes the liferaft very stable when boarding and in rough sea conditions. 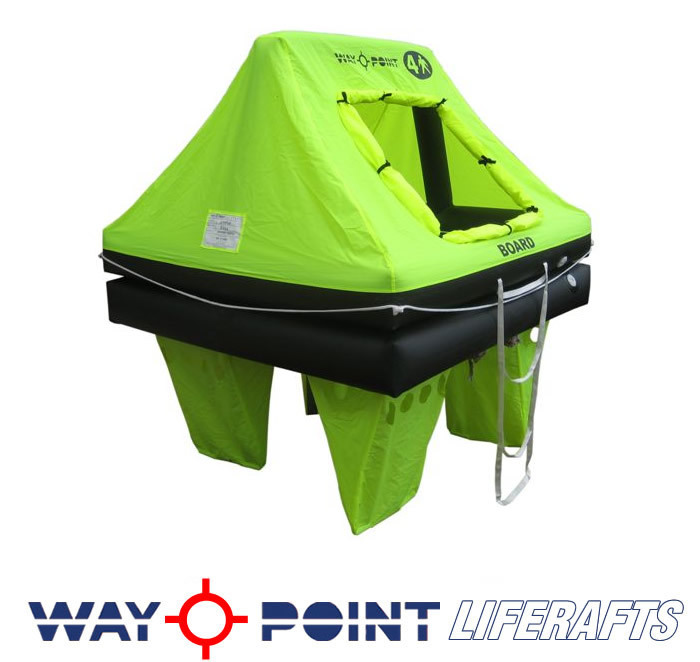 •	Bright Fluo yellow self erecting canopy that can be spotted easily out at sea which features a large entrance to facilitate boarding even for the larger persons with all their wet gear on. •	All packed shortly before dispatch, in our U.K. facility, offering to the end user a full 3 year use before servicing. •	3 year Service period. 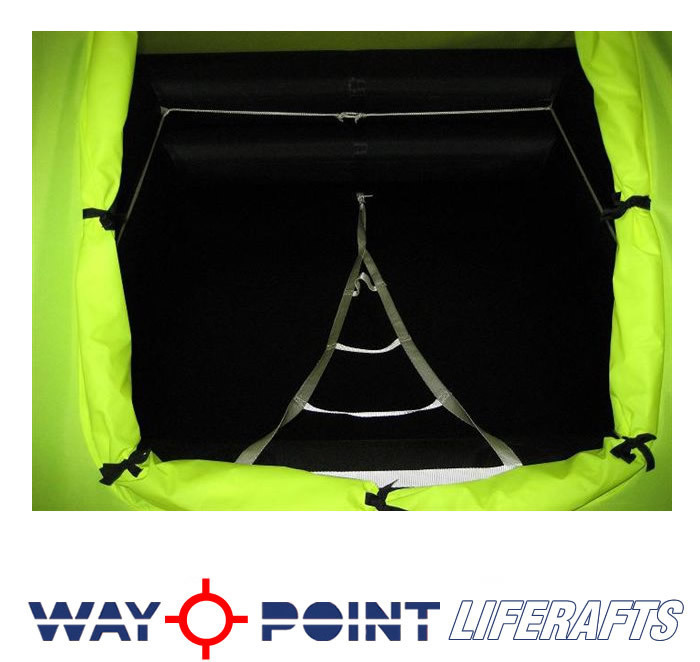 The Waypoint Coastal is vacuum packed to add greater protection from the elements. 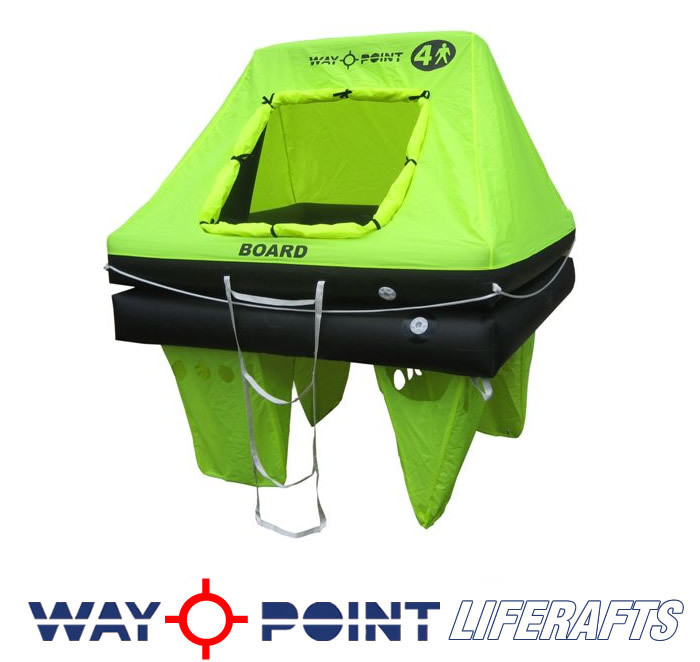 This listing has been viewed 13140 times.